materials and finishes and designed to give optimum light over your pool table. 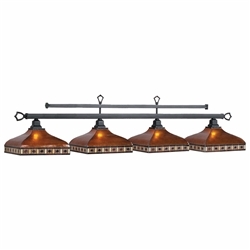 This light should be hung approximately 36’’ over the Billiard play area centered. L 54" x H 16"
· Loria will schedule, contact, and coordinate the pick-up date with the customer. · Please allow 2 - 4 weeks for pick-up of special ordered items. 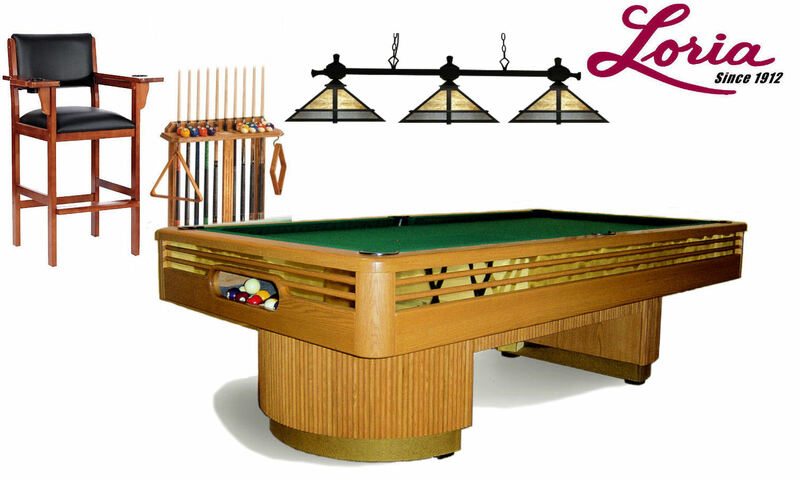 · Loria will deliver and assemble additional select items at No Extra charge, only when ordered and Delivered with a Loria Pool Table Purchase. These select items include game room tables, furniture, cue racks and light fixtures, only which are listed as "Deliver with Loria Pool Table Purchase-Included" in the drop-down menu. · Please note that Loria does not install or mount light-fixtures, cue-racks and wall items. · Please allow 3-5 weeks for delivery. · Loria will schedule, contact, and coordinate the delivery date with the customer. · This item can be delivered via Commercial Courier at an Additional Charge. Select your choice of Delivery method on our check-out page. · Please allow 2-4 weeks for delivery of special ordered items. If you have any questions, please call us at 1-800-540-2927. · Loria does NOT deliver and set up, coin operated game tables, drop shipped items or items on our website that do NOT list the “Delivery / Set up Option”. · Loria does not install or mount light-fixtures, cue-racks and wall items.